No, there’s no flying pigs, and Satan isn’t wearing a woolly hat, but this is a post about WebAPI (boooo!) I hit an “interesting” issue today, and felt a blog post was in order in case anyone else is bitten by this rather annoying “feature”. Tagged with aspnet, iis, should-have-used-nancy, webapi. I’ve recently been playing around with Vagrant to allow Nancy contributors to easily test their changes on Mono, even if they don’t have much (or any) experience with Linux or Mono itself (more on this soon). Vagrant allows scripts to be created to quickly and easily spin up virtuals with a certain configuration, and just as easily tear them down and destroy them when you’re done (which is just as important if you’re using a machine with limited SSD space). 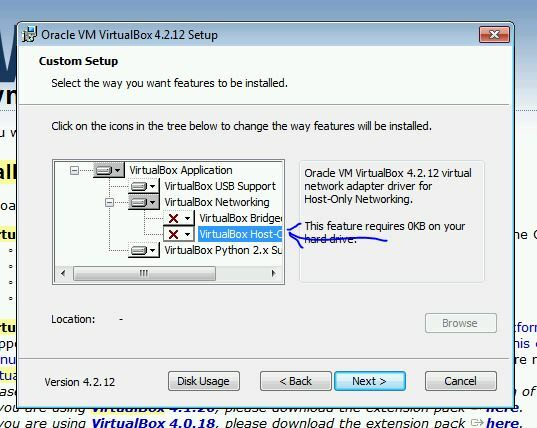 Vagrant sits on top of actual Virtualisation software such as VirtualBox or VMWare (but no Hyper-V support), but it defaults to VirtualBox, and that’s the only provider out there that doesn’t involve spending money as both VMWare, and the Vagrant plugin for it, are commercial. Vagrant uses NAT by default anyway, and that gives you internet access from the VMs, so there shouldn’t be too many situations where you need to use the other two options anyway. It even works side-by-side with Hyper-V too, so I can have my normal Hyper-V virtuals running while firing up Vagrant scripts on VirtualBox. It’s obviously a bit slower this way, as it can’t use it’s own HyperVisor, but it seems fast enough, and less hassle than having to disable Hyper-V and reboot every time I wanted to use Vagrant (or vice versa when I wanted to use Hyper-V). Now, back to those Nancy scripts.. 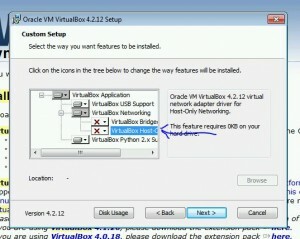 Tagged with hyper-v, vagrant, virtualbox, virtualisation, win8. Could not load file or assembly ‘FSharp.Core, Version=4.0.0.0, Culture=neutral, PublicKeyToken=b03f5f7f11d50a3a’ or one of its dependencies. The system cannot find the file specified. Could not load file or assembly ‘FSharp.Core, Version=2.0.0.0, Culture=neutral, PublicKeyToken=b03f5f7f11d50a3a’ or one of its dependencies. The system cannot find the file specified. All this works perfectly fine with .net 4, and .net 4.5 is supposed to be backwards compatible, but in this case it seems not. I haven’t done much digging, but if a strongly named assembly changes version between .net 4 and .net 4.5 I would expect an assembly binding to be in place to stop this kind of thing from happening – it’s possible that NDjango is doing something odd, but still, if it works in 4, it should work in 4.5. This may or may not be an issue on Win7 if you’ve had .net 4 installed previously. Luckily, it’s very simple to add your own binding redirects to get things up and running again. These can either go in the app.config/web.config of your application, or you can put it in the machine.config – I wouldn’t recommend the latter though, as you may end up with an “it works on my machine” situation a few months down the line. Tagged with fsharp, nancy, workaround.